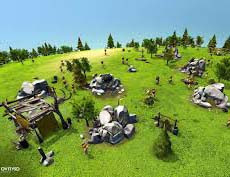 Free Download The Universim Full Version For PC is a game where you are required to play a God who tries to create a world of human habitation or species called the Nuggets. Players need to build this world from beginning to end and ensure their needs are met everyday. As a god in the game, you can also punish those who behave badly, bring natural disasters and guide the Nuggets so they can reproduce correctly. Like humans in life, the Nuggets also need decent shelter and natural resources to survive. You can guide them to work, hunt animals, cut down trees, find sources of water and food, and much more. But keep in mind that whatever is done by the Nuggets will affect the whole world where they live. For example, if the Nuggets cut too many trees then that could trigger global warming. In essence, every activity that they do must be guided and monitored so that the world continues to run well and balanced. 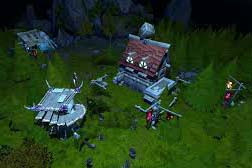 In addition, players can also interact with all existing living organisms. It is your mission to make these Nuggets able to collect and use a variety of resources properly and correctly in every season that is there especially during winter. Be careful of crime. In the game ecosystem, players must also monitor and act immediately with the crimes committed by the Nuggets or characters in this game. This is why this game also requires you to ensure the right way of life. Extract downloaded files with Winrar. 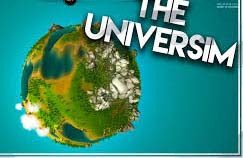 Right-click on The Universim.exe then run as admin.